This is definitely my favorite Christmas book so far! I mean, what could possibly be better than Christmas and pregnancies? It is one of those stories that I just wished it was a representation of my life! This was my first book by Lynsey James and it was such a good surprise! Her writing style is light. The story flows nicely and even though the story is quite chilled you actually spend some time with your heart in your hands. She has the perfect balance between suspense and romance so you can enjoy yourself whilst expecting nothing! Because trust me, you won’t be expecting everything that will come your way. So, long story short, Cleopatra lost her boyfriend when he left her for a job offer one year ago but now he’s back and one night together left them with a baby. So, there you have it, Cleopatra Jones is pregnant with her ex-boyfriend’s baby! The problem is, he wants to be involved as the father of the baby but she’s afraid that one morning he’s going to wake up and leave her and the baby just like he did one year ago! Cleo is the ultimate lovely woman. I honestly think that James was incredibly thoughtful with this character. She shows the struggle of a woman who suffered from bulimia and body dysmorphia and is now pregnant. The things she thinks about herself and what she thinks that other people think of her are the perfect example of her struggle. And those were the things that made me fall in love with Cleo. I don’t pity her. I honestly think that she’s a strong yet insecure woman. Scott was a wonderful man and kind of a jerk sometimes. Whenever she had one of her moments as an insecure pregnant woman he would just leave her! But then most of the time he actually was an adorable boyfriend and really protective of her and the baby. Besides the couple, there’s a lot of people involved in the story as well. Mothers, friends, ex-girlfriends and all the ingredients for the perfect amount of family drama. So, why not five stars? I honestly don’t know. The book is really good but it’s just not a book that I will keep in the back of my mind, you know? 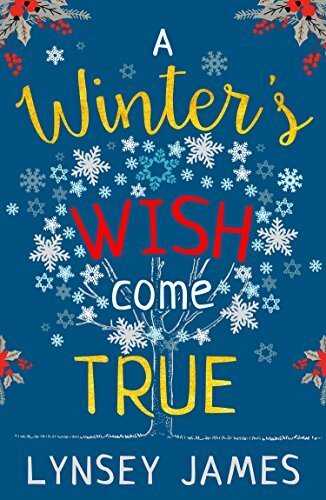 It is just not that remarkable of a book but it really is a cute, cozy and lovely read for Christmas!